Hufflepuff - Time Turners of the T.A.R.D.I.S. Hufflepuff is obviously the best house ever, and anyone who thinks otherwise is just wrong. Clearly. I mean look at us, we're loyal friends, we've got stout hearts, and we're crazy good finders. I guess we value hard work or whatever. 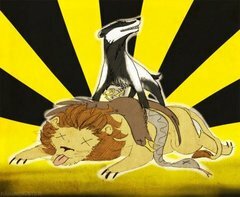 Also our mascot is the Badger and Badgers are pure awesome. So one day Helga Hufflepuff got mad crunk sipping on purple drank out of her blinged out cup, right? And when the other founders had picked the traits they wanted for their house's members, H-jizzy was all, "Grrrrrrrrrl. I so crunk I don't carrrrre. I take all dem students what want to learn. Now what?" 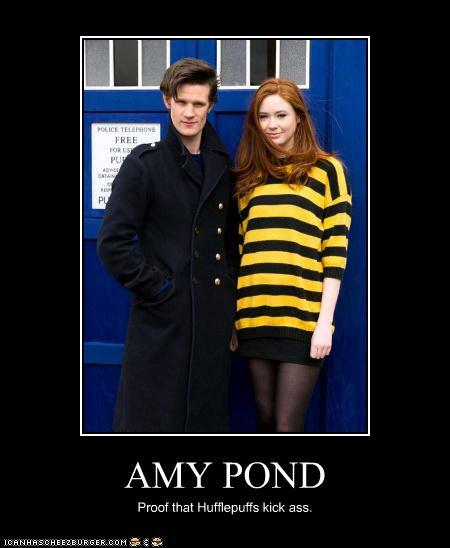 Famous Hufflepuffs include Amy Pond, Nymphadora Tonks, and some sparkly vampire dude. 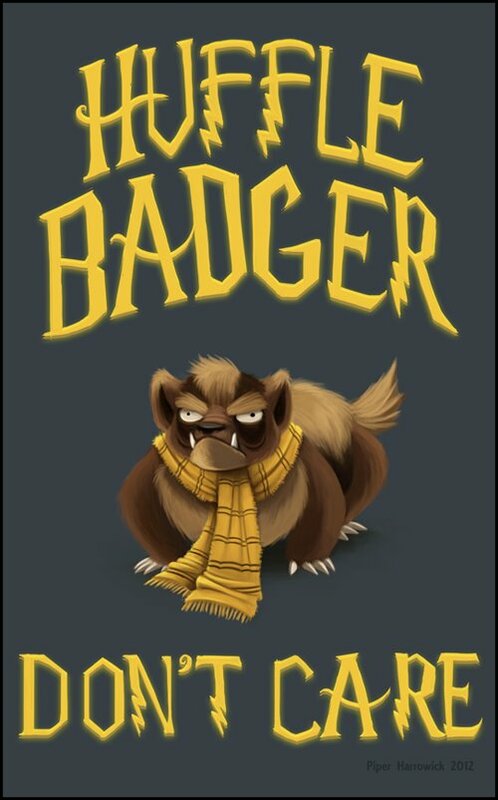 The Honey Badger is also a Hufflepuff, so that's awesome! Add a link to your page here IF YOU ARE AWESOME ENOUGH.